Home / Cupcake / Holiday gifts for 2014 XMAS are here! Holiday gifts for 2014 XMAS are here! What? Corgi holiday gifts for your Corgi obsessed loved ones! 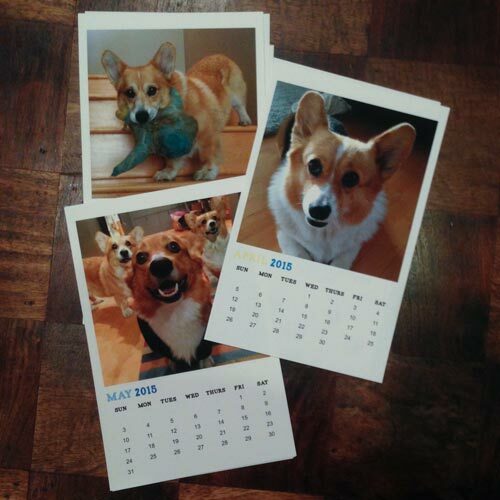 Here is a sneak peak of the Three Corgis 2015 Calendar. Its chock full of 12 months of cutie cutes photos of Hambone, Cupcake and Wolfgang in all their gitchy glory. Wouldn’t it just be easy to get these holiday gifts for that Corgi obsessed fan in your life? Of course, cuz you are that kind of person. These photos are the best of 2014, so get excited! Isn’t Cupcake the cutest ever? What a happy little critter. These two, well, not too stoked. But, hey, it makes for good content. Now, really…aren’t these the best? They really are. The melancholy expression of Christmas holiday cheer, with all the bum rushing of stores, the fight for bargains and the every so popular gifts that just really keep on giving from your Auntie Sue. Yes, a true expression of the holiday season! Gotta love it. Shop for yer Corgi holiday gifts right HERE!!! Stay tuned for more gifts for this gift giving season. You know you want one for yourself, so pick one up, too! Previous post: Dogs in costumes, OH MY!! !